Hillary Mara was awarded a competitive grant from Cornell's Institute for African Development to implement a project this winter in Guinea with the NGO NARSEME. In addition to her project to carry out market research and women's trainings related to the local soumbara spice, Hillary will be leading a training on the SRI methodology for American Peace Corps Agroforestry volunteers. Our SRI-Rice Selected News Updates for November (on ScoopIt) as well as the November additions are now available. November statistics are as follows: 3,659 unique visitors from 91 countries logged 4,752 sessions in which 8,832 pages were viewed. Our primary Facebook page now has 2,186 "likes," the SRI Equipment Innovators Exchange has 305 members and our primary YouTube channel, which now has 307 total followers, had 2,533 new views for our 67 uploads; 192 views of our 41 playlists. The twitter account 1,534 total followers. Slideshare had 9,589 views of our 459 uploads; 203 followers. There are 1,036 items (8 new) in our Zotero research database. Andrea Hayley interviewed the SRI-Rice senior advisor for the Dec. 2 issue of The Epoch Times, an online publication built on the foundation at freedom of the press and humanity. The article, entitled Going Against the Grain, came about because with the Green Revolution failing, the author had heard that Norman Uphoff could describe a better way to feed the world -- SRI. The Conservation Agriculture Research Updates for November have been published for this quarter. Twelve research articles have been selected to summarize by the CA Program and are available on the CA Program's ScoopIt platform. The CA Program at Cornell is co-managed by SRI-Rice. Asif Sharif, Chairman and Chief Executive of PEDAVER Pvt. Ltd. in Lahore, Pakistan, visited SRI-Rice and colleagues at Cornell University during late November. On November 30, he presented a seminar at 4PM in Mann 102 entitled Innovations with Mechanized SRI in Pakistan: Converging the System of Rice Intensification with Conservation Agriculture (CA). Our SRI-Rice Selected News Updates for October (on ScoopIt) as well as the October additions are now available. October statistics are as follows: 3,351 unique visitors from 90 countries logged 4,603 sessions in which 8,512 pages were viewed. Our primary Facebook page now has 2,123 "likes," the SRI Equipment Innovators Exchange has 305 members and our primary YouTube channel, which now has 292 total followers, had 2,209 new views for our 67 uploads; 192 views of our 41 playlists. The twitter account 1,520 total followers. Slideshare had 9,701 views of our 458 uploads; 203 followers. There are 1,028 items (17 new) in our Zotero research database. Terry Tucker, who is currently Associate Director of International Programs, CALS, has joined SRI-Rice as a program advisor. In addition to teaching and advising students in Cornell's International Agriculture and Rural Development major, Terry brings strong interest and experience in farmer-centered innovation and knowledge-sharing networks to the SRI-Rice program. Olivia Vent, who has been working with SRI marketing, gender and various communications initiatives since 2002, has joined SRI-Rice as value chain advisor. Erika Styger, our associate director since 2010, will be stepping down from her position at SRI-Rice in December 2016. The SRI-Rice Associate Director of Communications traveled to SE Asia October 11-27, 2016, to follow up with new and old partners, write feature articles, and investigate recent SRI-Rice adaptations that are becoming popular throughout Indonesia. She attended organic products fair in Jakarta with organic exporter BloomAgro, visited new SRI-Rice initiatives being undertaken by Institut Pertanian Bogor (IPB), and spent time with farmers and practitioners in Sulawesi and Bali that are combining "jajar legowo" techniques with the standard square spacing patterns used by most SRI practitioners (except China). Our SRI-Rice Selected News Updates for September (on ScoopIt) as well as the September additions are now available. September statistics are as follows: 3,378 unique visitors from 86 countries logged 4,112 sessions in which 9,432 pages were viewed. Our primary Facebook page now has 2,106 "likes," the SRI Equipment Innovators Exchange has 301 members and our primary YouTube channel, which now has 282 total followers, had 2,023 new views for our 67 uploads; 221 views of our 41 playlists. The twitter account 1,502 total followers. Slideshare had 10,857 views of our 455 uploads; 203 followers. There are 1,011 items (45 new) in our Zotero research database. 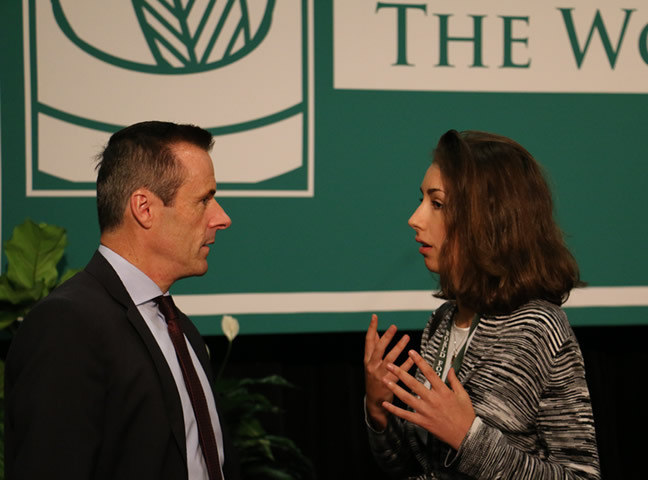 Bella Culotta, who works on the SRI-Rice website migration, was selected by the Global Youth Institute to attend the World Food Prize in Des Moines, Iowa, October 13-16, 2016. While at the event she presented a paper on agroecology in northeastern Brazil and a summary of the Global Youth Institute contingent's conclusions. 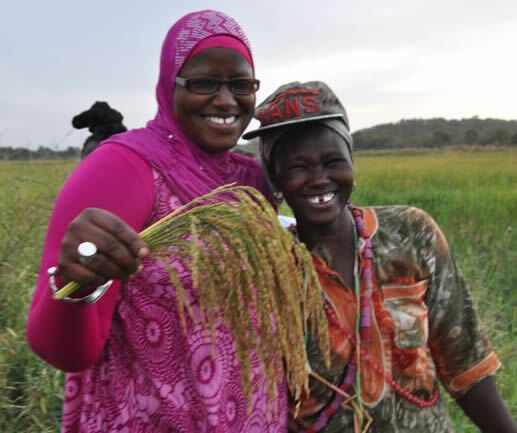 Jean Njiru, former Humphrey Fellow at Cornell, presented a seminar (see powerpoint) on her observations on the Introduction and Rapid Growth of the System of Rice Intensification (SRI) among Smallholder Farmers in Kenya. She is currently Supply Chain Network Manager for the Purdue Improved Crop Storage (PICS) Program in East and Southern Africa, based in Nairobi, Kenya. Jean was instrumental in starting up the SRI dialogue in Kenya. Juna Shrestha and Benjamin Huber, co-founders of ClimateRe, (far right in photo) visited SRI-Rice on October 3-4, 2016. 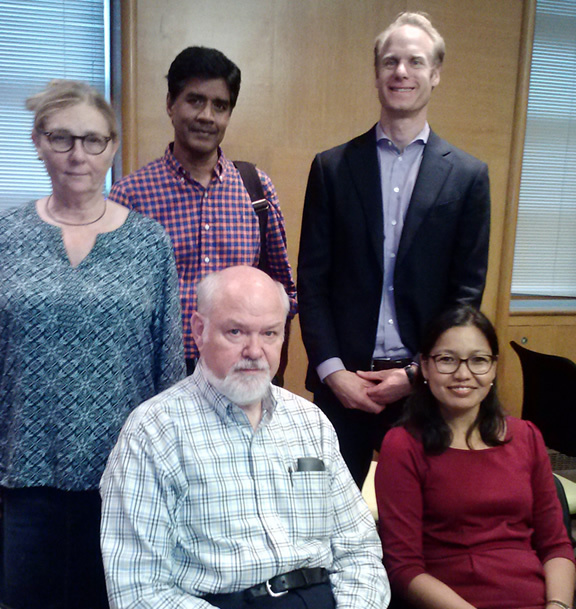 While at Cornell, they presented a seminar (see powerpoint) on Carbon Offsetting to Sustainably Finance the System of Rice Intensification (SRI) in Nepal on October 4, (12:20 – 1:10 pm) in 102 Mann Library. Their project with ClimateRe on carbon offsetting recently won MIT's Climate CoLab competition in the land use category, and won an honorable mention for the all-catgories prize. ClimateRe is a Switzerland-based start-up that promotes and facilitates innovative risk management approaches. On September 29, 2016, Norman Uphoff and Amir Kassam, a visiting professor at the University of Reading and moderator of the Global Conservation Agriculture Community of Practice, presented a midday seminar at the World Bank entitled Agroecological Strategies for Regenerative, Climate-Smart Agriculture in the Smallholder Farming Systems with Examples from CA and SRI. The event was co-hosted by the 1818 Society and Agriculture Global Practice. A practice brief on SRI by Erika Styger and Norman Uphoff has been published on the CGIAR Research Program on Climate Change, Agriculture and Food Security (CCAFS) website. Entitled The System of Rice Intensification (SRI): Revisiting Agronomy for a Changing Climate, the publication is part of a series of practice briefs by the Global Alliance for Climate-Smart Agriculture. The research library of the System of Rice Intensification (SRI) Research Network has entered number 1,001 in its Zotero-based online searchable database! Those joining the Network, which is currently maintained by SRI-Rice, can access full text of the majority of the library's items as well post questions and find colleagues. Gerald Aruna, director of the Italian NGO ENGIM Internazionale in Sierra Leone, visited SRI-Rice September 11-14, 2016. 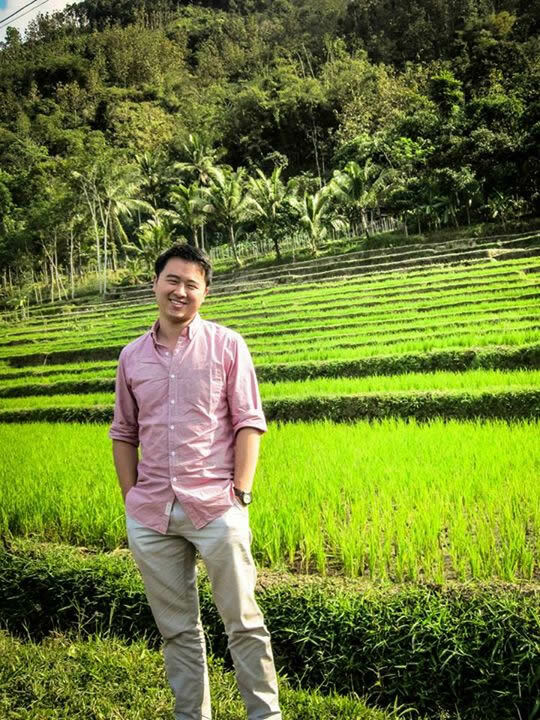 While at Cornell, he presented the seminar "Introducing the System of Rice Intensification (SRI) to Resource-Limited Farmers in Sierra Leone." Aruna, who is also a vocational agriculture instructor and a practicing farmer based in Lunsar in the Northern Province of Sierra Leone, first learned about SRI in 2002 began extending the ideas to surrounding communities in 2006. (See PowerPoint presentation). Our SRI-Rice Selected News Updates for August (on ScoopIt) as well as the August additions are now available. August statistics are as follows: 3,950 unique visitors from 96 countries logged 4,942 sessions in which 9,035 pages were viewed. Our primary Facebook page now has 2,086 "likes," the SRI Equipment Innovators Exchange has 297 members and our primary YouTube channel, which now has 273 total followers, had 2,051 new views for our 67 uploads; 359 views of our 41 playlists. The twitter account 1,492 total followers. Slideshare had 10,331 views of our 455 uploads; 201 followers. There are 966 items (24 new) in our Zotero research database. Nick Reed-Krase completed the requirements for his MPS in International Development and has moved on from his work leading the SRI-Rice website content migration to a new Drupal platform. 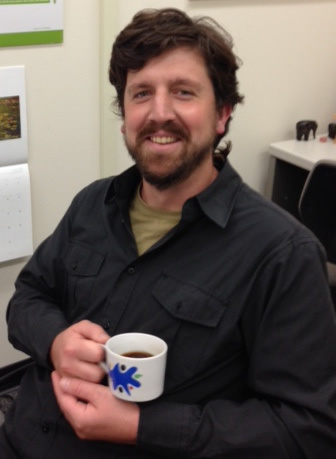 In September, he will begin his new job in Madagascar as Community Health Programme Coordinator with Blue Ventures. 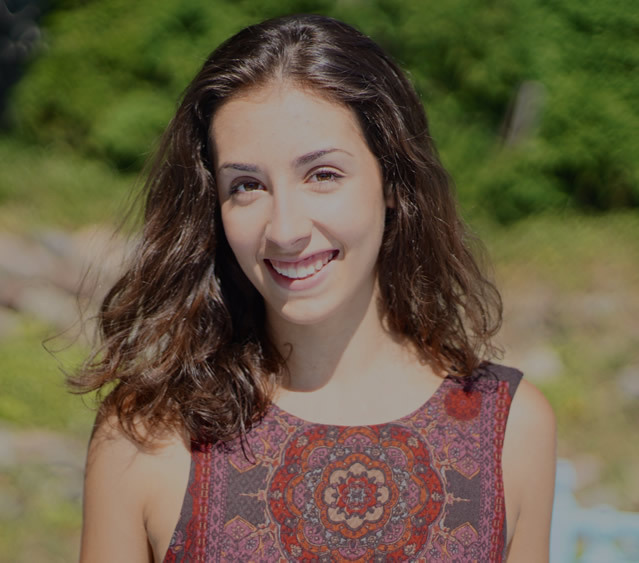 Bella Culotta, a rising senior at Ithaca High School, joined our website development team in early July and will continue to volunteer with SRI-Rice during the fall term. 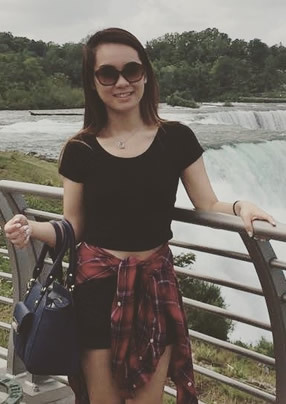 Nina Lin, a pre-med sophomore, is assisting with building the new website. Hillary Mara, a CIPA student just back from her summer program in Guinea, is taking on various SRI-Rice communications projects. Hanzhou Yang, also a public administration grad student, returned from her summer projects in India and China and continues to curate the SRI-Rice Chinese research collection. Oluhodakhary Roberts, a junior in the IARD program, is replacing Sean Finnerty as a SRI-Rice research curation assistant. 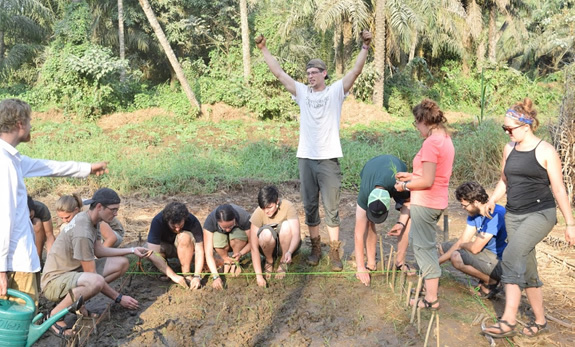 Hillary Mara, who spent the summer in Guinea with the local NGO NARSEME, initiated an SRI training and demonstration plot with extension agents and farmers in Medina Oula in Guinea's Kindia region (see photo). In August, she also led an SRI field training for new Peace Corps Volunteers in Dubreka. Our SRI-Rice Selected News Updates for July (on ScoopIt) as well as the May additions are now available. July statistics are as follows: 3,603 unique visitors from 89 countries logged 4,670 sessions in which 8,820 pages were viewed. Our primary Facebook page now has 2,052 "likes," the SRI Equipment Innovators Exchange has 287 members and our primary YouTube channel, which now has 260 total followers, had 2,280 new views for our 67 uploads; 615 views of our 41 playlists. The twitter account has 4 new followers this month (1,464 total followers). Slideshare had 33,609 views of our 453 uploads; 201 followers. There are 942 items (8 new) in our Zotero research database. 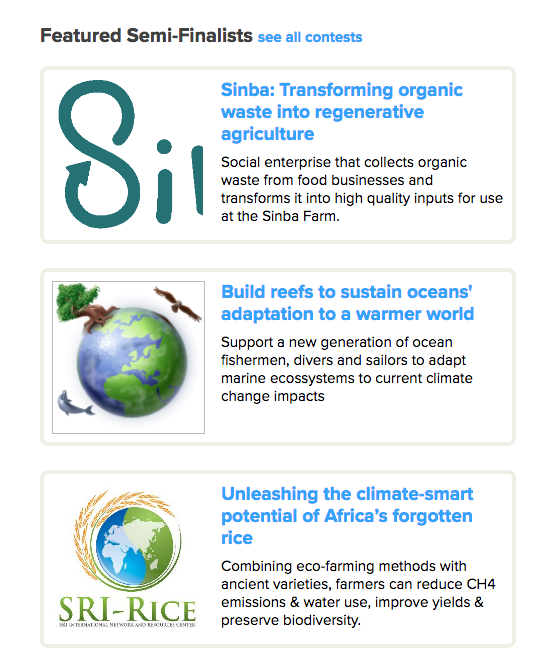 While the SRI-Rice proposal entitled Unleashing the climate-smart potential of Africa's forgotten rice did not win the judge's award in MIT's recent Climate CoLab Competition, we did earn the Special Commendation for Novelty for the "adaptation" category! 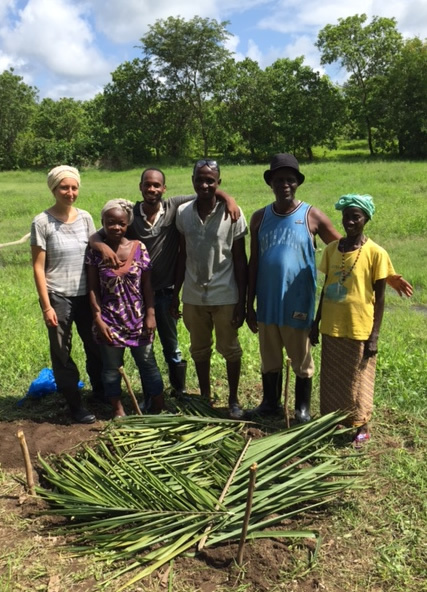 The SRI-Rice Associate Director, Erika Styger, traveled to Haiti June 27-July 13 to assist the USAID-funded agriculture project Change Lavi Plantè in designing an 18-month SRI scaling up project targeted to use SRI methods on over 1,300 ha in St. Marc commune. On July 7-9, Erika and Joeli Barison led a 3-day training of trainers (July 7-9) for over 30 project and government staff in Montrouis (see photo at right). Erika also sourced a Mandava weeder and an upland weeder from SOCAFON in Mali. The Mandava weeder, which is new to Haiti, appeared to be better adapted to Haitian soil conditions than the existing cono-weeder; the project will now multiply the Mandava weeder and make it available in the St. Marc Commune. SRI-Rice has passed to the final round of MIT's Climate CoLab idea incubator competition for the proposal Unleashing the climate-smart potential of Africa's forgotten rice in the categories "Land Use" and "Adaptation." This initiative by SRI-Rice will apply System of Rice Intensification methods to the native African rice species Oryza glaberrima to preserve biodiversity, reduce greenhouse gas emissions, and improve farmer livelihoods. Vote for our proposal in both categories; voting will end on July 31 with the top vote-getters receiving Popular Choice Awards. The competition judges also select Judges' Choice winners. The announcement of the $10,000 Climate CoLab Grand Prize recipient will be made on September 28, 2016, at the Crowds and Climate event held at the MIT campus in Cambridge, Massachusetts. It's official - 2000+ likes on the SRI-Rice facebook page! Good to know that we are serving more of the global SRI Community... as well as other curious readers. On another note, our SRI Equipment Innovators facebook group is nearing 300 members. Stay tuned! The June edition of the Conservation Agriculture Research Highlights has been published this month. The June-July edition of the Two Wheel Tractor Newsletter, which which SRI-Rice curates on behalf of Cornell's CA Program and Jeff Esdaile (the newsletter editor), is now available on the CA Global Research and Resources website. Also, the CA Facebook page has passed the 800 mark for "likes" this month. SRI-Rice sponsored two seminars on SRI in Mann Library during June. Robert Bimba, Executive Director of Community of Hope Agriculture Project (CHAP) and SRI Focal Organization in Liberia, presented Adaptation and Adoption of Climate Smart Rice Production Methods in Liberia at noon on June 14 (see PowerPoint). On June 15, M. H. Emadi, former Vice-Minister of Agriculture in Iran, presented Experiences with the System of Rice Intensification in Iran (see PowerPoint). 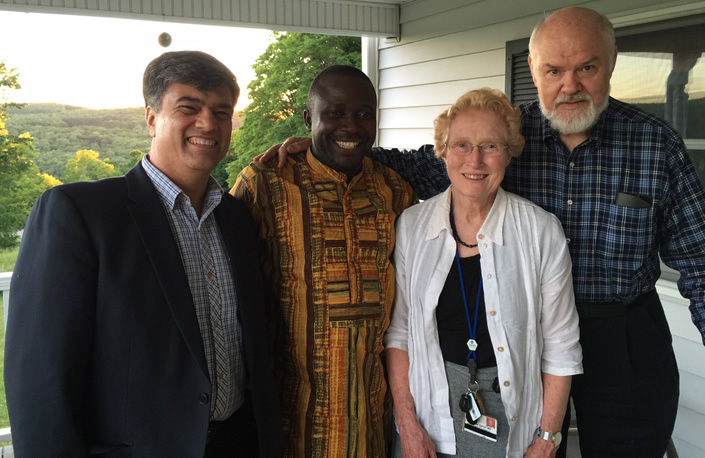 Emadi (far left in photo) and Bimba (second from left), who are shown in the photo with Norman and Marguerite Uphoff, were in town for several days to visit with SRI-Rice staff and advisors. Our SRI-Rice Selected News Updates for May (on ScoopIt) as well as the May additions are now available. April statistics are as follows: 4,005 unique visitors from 97 countries logged 5,116 sessions in which 10,488 pages were viewed. Our primary Facebook page now has 1,996 "likes," the SRI Equipment Innovators Exchange has 271 members and our primary YouTube channel, which now has 239 total followers, had 2,055 new views for our 66 uploads; 1,380 views of our 31 playlists. The twitter account has 20 new followers this month (1,440 total followers). Slideshare had 9,727 views of our 452 uploads; 197 followers. There are 896 items (18 new) in our Zotero research database. Stephanie Van Dyke interviewed Norman Uphoff recently in order to learn more about recent advances in the System of Rice Intensification. The article, entitled New Developments in the System of Rice intensification (SRI), appears in June 7 edition of Foodtank, an online publication that highlights innovative ideas in agriculture that are already working on the ground around the world. New Tech for an Ancient Food is one of 14 grants funded by the Atkinson Center's 2016 Academic Venture Fund. Principle Investigators at Cornell include Derek Warner, Civil and Environmental Engineering; Erika Styger, SRI-Rice, International Programs; and Robert Shepherd, Mechanical and Aerospace Engineering. This team aims to demonstrate that 3-D printing can help manufacture quality weeders and other equipment used in low-water, climate-smart rice production-- simply, cheaply, and locally. The researchers will work with commercial printers in the United States to design simple, sturdy farming tools and identify the manufacturing technology baseline required to create parts on site. Partners in Mali, India, and Malaysia will pilot test the manufacturing process and work with farmers to refine the tools. 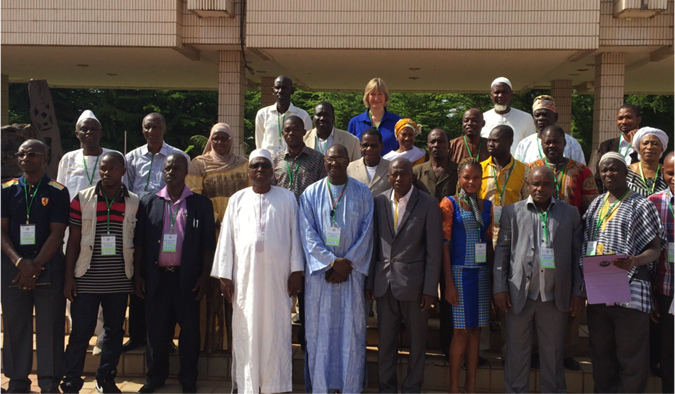 Erika Styger, PI for the SRI West Africa Project, participated in the SRI West Africa Project Results Review Workshop (right) held in Bamako, Mali, on June 1 and 2, 2016. The event, which was co-organized and co-led by SRI-Rice, was attended by the national facilitators of SRI and the monitoring and evaluation officers from WAAPP from 12 West African countries. At the same time discussions were held about the planning of the second phase for the SRI-WAAPP Project. Sean Finnerty, who helped curate the SRI-Rice research database, graduated from Cornell in May and will enter a masters program in the University of Hohenheim in Germany in the fall. Hillary Mara, a CIPA graduate student who has been helping develop the new SRI-Rice website, is traveling to Guinea for the summer to do organizational capacity building and SRI training with the NGO NARSEME. Hanzhou Yang, a CIPA student who is helping us to curate the Chinese collection of the SRI research database, will spend the next few months in China. 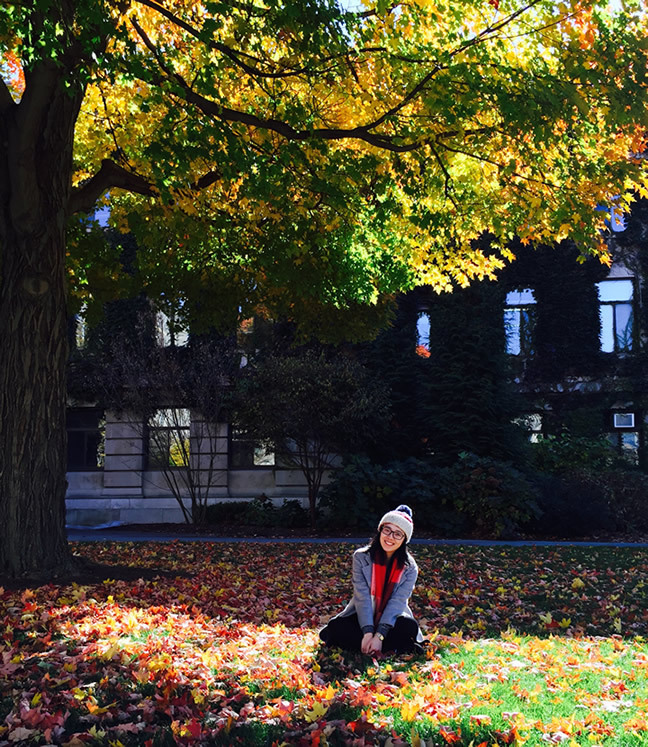 Nina Lin, who works on building the research network membership, will spend the break in New Jersey. Kevin Sim, who helps curate the Indonesian SRI research collection, will spend the summer months in Indonesia. Online Maps are now available for the 13-country project on Scaling Up and Improving the System of Rice Intensification in West Africa (SRI-WAAPP). The maps, which were prepared each map with input from the countries, show field sites for the entire West Africa region and for each country individually. 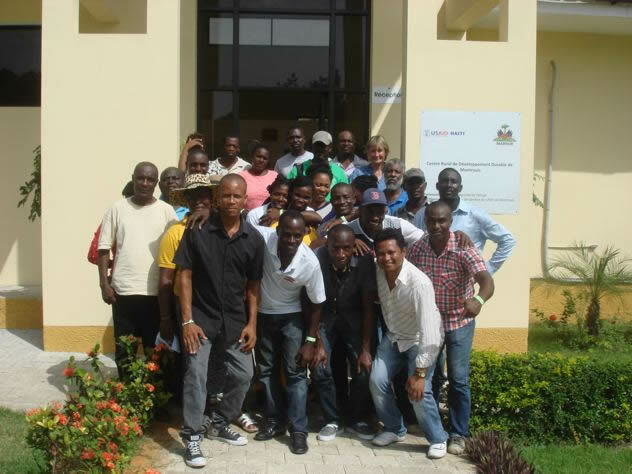 They were prepared by Devon Jenkins, SRI-Rice's West Africa Technical Specialist. On May 26, Norman Uphoff will make a presentation (by video) to the TechnoServe staff and invited participants in Washington, DC, on ‘SRI as Climate-Smart Agriculture.’ The talk, which will take place at 9AM, is part of TechnoServe's monthly series of staff discussions on climate-smart agriculture. During April and May, five feature articles were published on the SRI-Rice website: The newest SRI champions: Farmers and extension agents in Côte d’Ivoire (at right) (Hillary Mara, May 12); Meet Kinsa Sidibeh, an SRI farmer in Central River Region South, The Gambia (Devon Jenkins, April 26); Earth Day: Farmers using the System of Rice Intensification are doing their part (Lucy Fisher, April 22,); Videos about the System of Intensification; (Lucy Fisher, April 11); New Book: The System of Rice Intensification (SRI), Responses to Frequently Asked Questions by Dr. Norman Uphoff (Hillary Mara, April 4). Abbreviated versions of these articles appear on the SRI-Rice blog: Global News and Views: System of Rice Intensification (SRI). Our SRI-Rice Selected News Updates for April (on ScoopIt) as well as the April additions are now available. April statistics are as follows: 3,732 unique visitors from 95 countries logged 4,591 sessions in which 8,872 pages were viewed. Our primary Facebook page now has 1,970 "likes," the SRI Equipment Innovators Exchange has 270 members and our primary YouTube channel, which now has 230 total followers, had 1,583 new views for our 66 uploads; 1,634 views of our 29 playlists. The twitter account has 19 new followers this month (1,420 total followers). Slideshare had 8,526 views of our 450 uploads; 197 followers. There are 878 items (12 new) in our Zotero research database. An SRI-related communication by Norman Uphoff and Frank Dazzo was published on May 3 in the journal Environments. The article, Making rice production more environmentally-friendly, is open access and will also be uploaded into the SRI-Rice Research Network's Zotero database. Sue Price and Declan McCormick of Flooded Cellar Productions visited SRI-Rice on May 2. While at Cornell, they presented an SRI-sponsored seminar entitled Championing the Champions: Filming SRI in the Global South at 11:30AM-12:30PM in 102 Mann. At 3:30-5:00PM in 401 Warren, they also conducted a Documentary Film-making Workshop, which was co-sponsored by SRI-Rice and the Department of Communications at Cornell. Flooded Cellar has produced videos on SRI farmers, many in conjunction with SRI-Rice, in Burundi, Madagascar, Nepal, Rwanda, Burundi, and Sierra Leone. Many of these also have a French version. Erika Styger attended an event in New York on Saturday, April 16, in honor of Google Translate's tenth birthday. The traditional West African Glaberrima rice will be prepared by the well-known chef, J.J. Johnson, who has a interest in traditional African dishes. 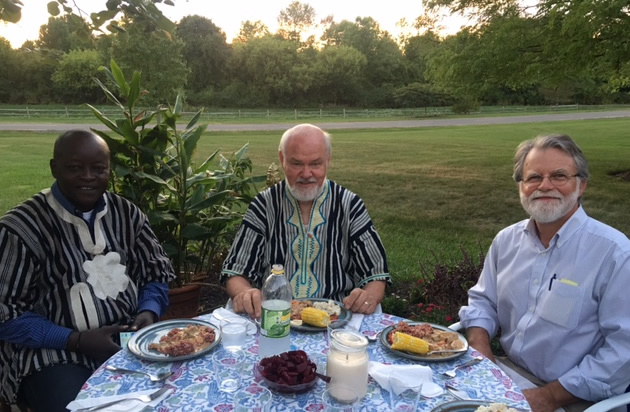 For the event meal, Erika was able to import with the help of SRI-Rice partners in Togo, a small amount of this rice species that is not commercially available outside of West Africa, and only rarely available for sale within West Africa. 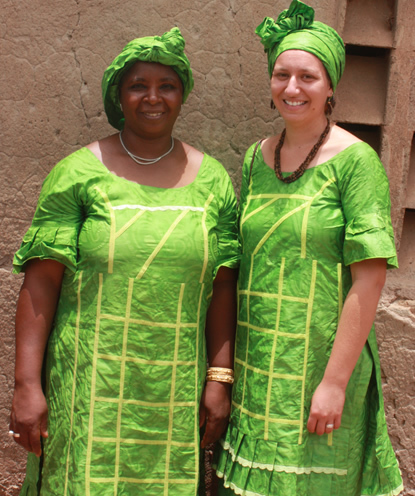 In an article by Amanda Garris in the April issue of Cornell's PeriodiCALS magazine, Erika Styger talks about her work with SRI Rice in The Gambia and with the wider 13-country SRI-WAAPP project in West Africa. The item, Sambel Kunda, The Gambia, appears in the International Call feature. Our SRI-Rice Selected News Updates for March (on ScoopIt) as well as the March additions are now available. March statistics are as follows: 3,705 unique visitors from 99 countries logged 4,688 sessions in which 8,891 pages were viewed. Our primary Facebook page now has 1,892 "likes," the SRI Equipment Innovators Exchange has 269 members and our primary YouTube channel, which now has 223 total followers, had 2,062 new views (65,463 for past 5 years) for our 66 uploads; 1,634 views of our 29 playlists. The twitter account has 30 new followers this month (1,401 total followers). Slideshare had 10,451 views of our 450 uploads; 196 followers. There are 866 items (56 new) in our Zotero research database. Erika Styger participated in a planning and methodology workshop for the 6-country socio-economic study for the SRI-WAAPP project undertaken by the Associates for International Management Services (AIMS) from March 14-19 in Dakar, Senegal. From March 19-22 she undertook a support trip for SRI-WAAPP Senegal together with Abdoulaye Sy (national SRI facilitator for Senegal) to Kaolack, Tambacounda and Matam where they visited SRI activities led by ANCAR, SAED and IFAD. Our SRI-Rice Selected News Updates for February (on ScoopIt) as well as the February additions are now available. February statistics are as follows: 3,209 unique visitors from 93 countries logged 4,159 sessions in which 8,231 pages were viewed. Our primary Facebook page now has 1,861 "likes," the SRI Equipment Innovators Exchange has 269 members and our primary YouTube channel, which now has 218 total followers, had 1,918 new views (63,622 for past 5 years) for our 66 uploads 2,495 views of our 27 playlists. The twitter account has 25 new followers this month (1,371 total followers). Slideshare had 8,257 views of our 447 uploads; 194 followers. There are 821 items in our Zotero research database. The SRI-Rice senior advisor made two SRI-related presentations at the University of Nebraska - Lincoln (UNL). On February 24, he gave a lecture at the UNL's Robert Dougherty Water for Food Institute on Improving Food Production for Health in a Water-Constrained World: Opportunities Deriving from Agroecological Knowledge and Experience (See PowerPoint presentation.). On February 25, he presented Understanding Soil Fertility More in Terms of Biology than Chemistry: Evidence from the System of Rice Intensification at the UNL Department of Agronomy and Horticulture. The Conservation Agriculture Research Updates for February 2016 can now be accessed on the CA Group's ScoopIt site. The research updates are published quarterly. 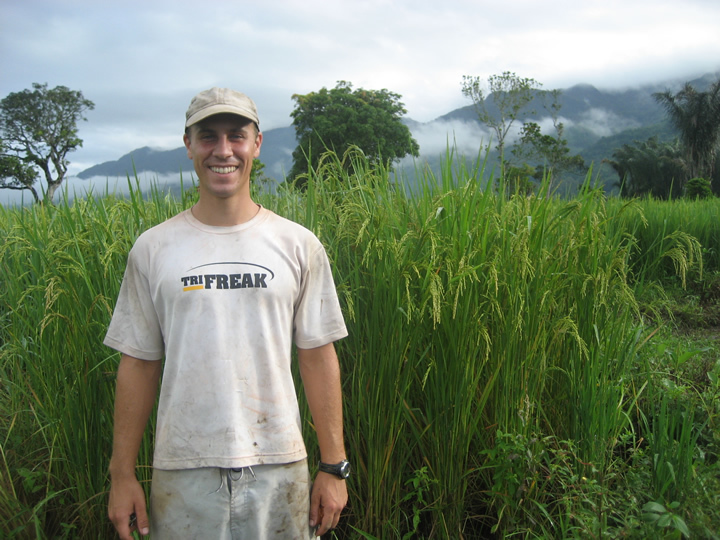 Erika Styger will gave a talk entitled Scaling up Climate-smart Rice Production in West Africa on February 11, 2016, at 2:30-1:10, in G08 Uris Hall on the Cornell Campus. (See PowerPoint presentation). Norman Uphoff's latest publication, The System of Rice Intensification (SRI) - Responses to Frequently Asked Questions, can now be downloaded as a 10MB pdf free of charge from the SRI website. (Hard copies of the 226-page book are available from Amazon.com for $41.33 (€38.33). Norman Uphoff, presented a seminar entitled Disseminating an Agroecological Innovation for Improving Food Availability Sustainability: Possible Lessons for Delivery Science on January 28, 2016, at 12:20-1:10, in 200 Savage Hall. An article by Amod Thakur, Norman Uphoff, and Willem Stoop. was published in the first 2016 issue of the journal Advances in Agronomy (doi:10.1016/bs.agron.2015.09.004). The article, Scientific underpinnings of the System of Rice Intensification (SRI): What is known so far? can be found on pages 147-179 of volume 135. 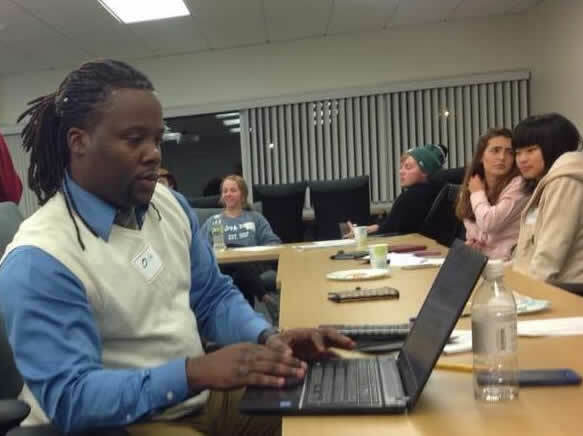 The SRI-Rice technical specialist for Africa, Devon Jenkins, held a webinar for the Peace Corps and their partners on the benefits of SRI and how volunteers can optimize these methods at their posts. The event took place 9:00-10:30AM EST, and was attended by Peace Corps staff and volunteers from Washington DC, Nepal, Benin, The Gambia, Sierra Leone, Nepal and Washington DC. (See PowerPoint and SRI handbooks for trainers and volunteers, both of which were authored by Devon. Our SRI-Rice Selected News Updates for December (on ScoopIt) as well as the December additions are now available. December statistics are as follows: 3,152 unique visitors from 86 countries logged 3,981 sessions in which 7,439 pages were viewed. Our primary Facebook page now has 1,813 "likes," the SRI Equipment Innovators Exchange has 260 members (4 new) and our primary YouTube channel, which now has 204 total followers, had 1,536 new views (68,783 for past 5 years) for our 65 uploads 2,334 views of our 27 playlists. The twitter account has 14 new followers this month (1,315 total followers). Slideshare had 10,338 views of our 446 uploads; 193 followers. There are 799 items in our Zotero research database.